When current flows through a conductor in an electric circuit, a magnetic field is generated around the conductor. The coil consists of a conductor that is looped a few times of which it is able to store energy in the form of electromagnetic field when a current passes through it. It has a basic characteristics in that it opposes the change of current that goes through it. The magnetic flux linking these turns can be increased by coiling the conductor around a material with a high permeability such as iron, laminated iron and powdered iron. These materials can increase the inductance to a few thousand times compared to if it is just coiled without any high permeability material. V = L*(dI/dt) where L is the inductance of the coil and I is current that flows through it. Inductance is measured in milihenrys(mH), microhenrys(uH) or Henry(H). It is basically constructed using a copper wire wrapped around a core make of ferromagnetic material or just around the air. Using ferromagnetic material help to confine the magnetic flux within the coil and hence increasing the inductance of the coil. The copper wire must have good insulation to prevent shorting of the wires to one another. In some circuitry, there is a need to change or tune the value of the inductance hence an adjustable core type is used. A typical toroidal coil that is wrapped around an iron core. Some of the inductor applications used in various electronics devices are listed below. It is used in filter design together with capacitors to provide filtering of unwanted signals from the circuit. Switch mode power supply uses lots of coils to provide smooth rectified power supply for electronics devices. It is used in tuning the frequency of radio frequency signals in wireless communications system, radio reception and broadcasting. Many harmonics generated in inverter based design systems are reduced by using filtering circuit that has a combination of coils and capacitors. Electromagnetic compatibility directive ensures that harmonics of a product are reduced to a level that is acceptable to prevent interference to other devices. In electrical power systems, large size type is used reactors to limit fault current. It is used to replace the use of bulky transformer in power supplies. 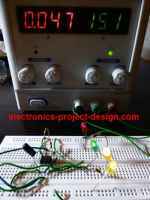 Size of a power supply system is greatly reduced by using switching power supply instead of linear power supply.